Chau Doc | Chau Doc hotels, Hotel in Vietnam | Vietnam Hotels - Best prices guaranteed! 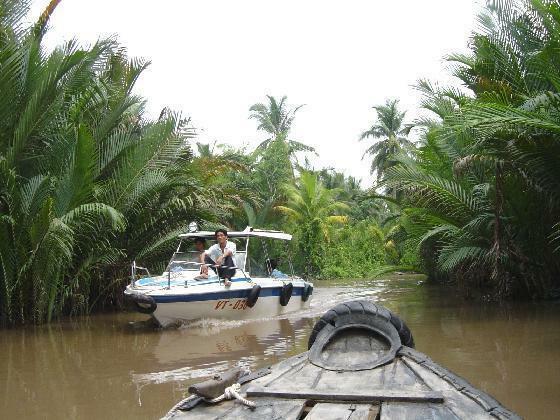 Chau Doc is a district and town of An Giang province, Mekong Delta region, Vietnam. The town is located by the side of Hau River (a branch of Mekong River which flows through Vietnamese territory) and Vinh Te canal. Chau Doc is situated 250 km to the west of Ho Chi Minh City. It takes about six hours to travel by bus from Ho Chi Minh City. Along with beautiful natural landscape, Chau Doc is also famous for its variety of fish sauces and mainly "mam tai", a kind of anchovy. Chau Doc's local economy is based on culture of basa catfish export and on tourism. In this district, the Victoria Hotel is the most notable one. There are many other Vietnam hotels situated near Nui Sam, also pretty tidy and comfortable and worth staying.